Amanda Tomkins is the National Learning and Development Lead at Compass, the real estate technology company, where she manages the Agent as CEO program dedicated to make each Compass agent CEO of their own business. 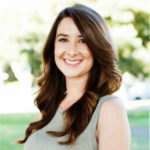 Amanda comes from a real estate background and was an active agent herself in Southern California. In addition to sales, she has experience in marketing, operations and brand building. She brings this wealth of experience to help curate an unparalleled experience for her agents. She has lived in three cities in three years (LA, SF and NYC respectively) traveling with Compass to launch new markets and mentor agents. She now lives in New York and enjoys it so much she feels like a local already.